There’s nothing fair about imposing an Illinois state income tax system when you cannot back up your plan’s calculations. During the past few months, Illinois Gov. J.B. Pritzker’s “fair tax” proposal has been short on details or included math that ranged from fuzzy to missing. There was a claim the plan was capable of raising $3.4 billion in additional revenue. There were contradicting numbers the governor’s team gradually released. There were no specifics to the governor’s future growth assumptions. All of which has been criticized by the Illinois Policy Institute and the Civic Federation, neither of which were able to recreate Pritzker’s math. There are obviously flaws with the numbers being touted by “fair tax” proponents, but no rates have been introduced in any legislation in the General Assembly. That means a vote by lawmakers to scrap Illinois’ constitutionally protected flat income tax would essentially be a blank check. 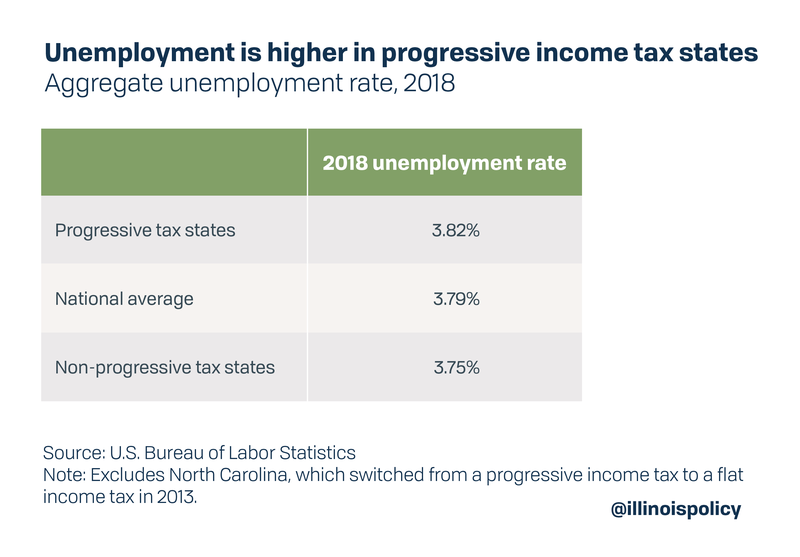 Without official rates and because a graduated income tax is being touted as a magic pill for the state, it helps to take a step back and look at the economic trends in states with and without progressive income taxes. Spoiler: States with progressive income taxes lose on virtually every economic measure. 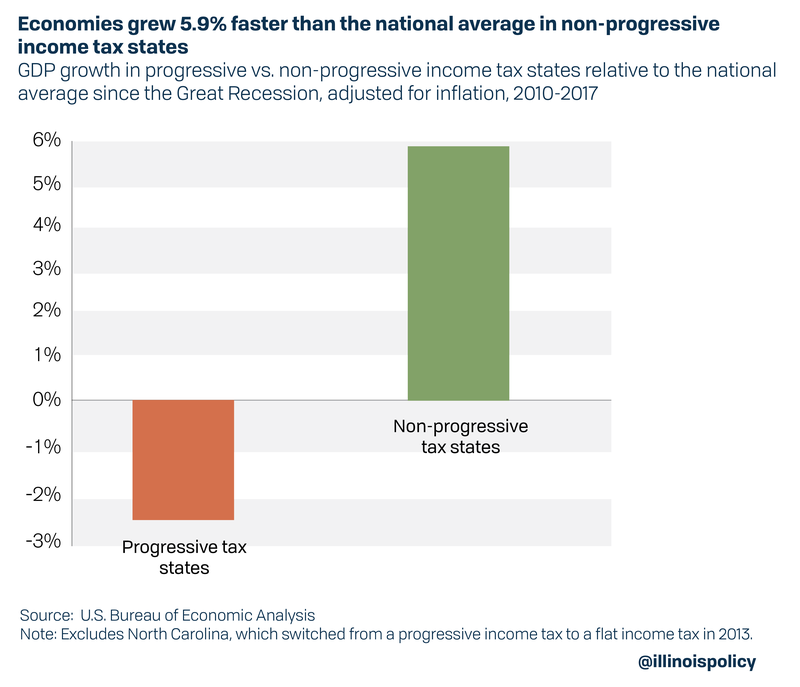 Since the end of the Great Recession, state economies have grown 5.9 percent faster than the national average in states without a progressive income tax. Meanwhile, states with a progressive income tax have grown 2.4 percent slower than the national average. 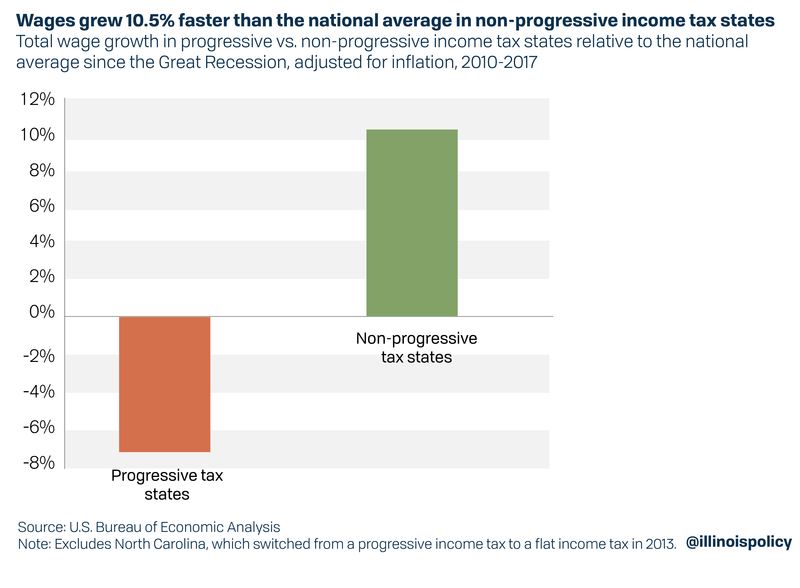 Since the end of the Great Recession, wages in states without a progressive income tax have grown 10.5 percent faster than the national average, while states with a progressive income tax have grown 6.9 percent slower. 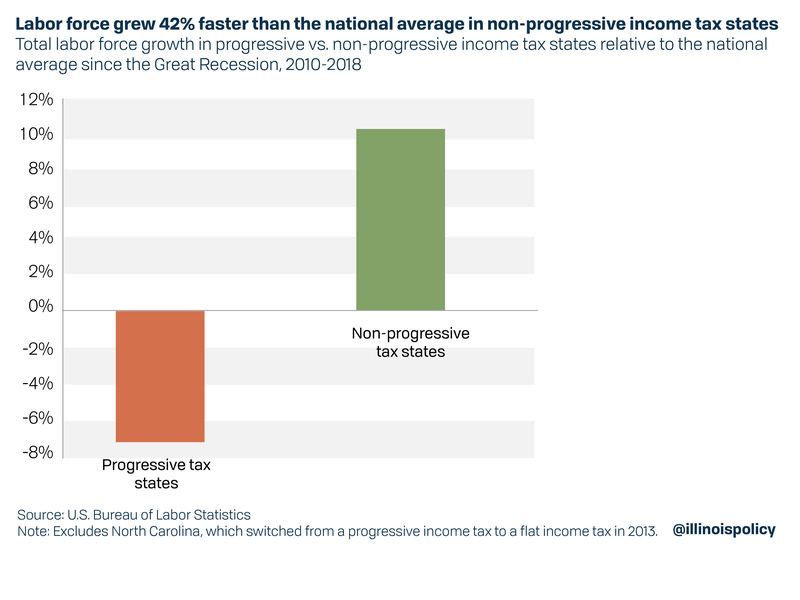 Since the end of the Great Recession, the labor force in states without a progressive income tax has grown 42 percent faster than the national average, while states with a progressive income tax have grown 30.7 percent slower. 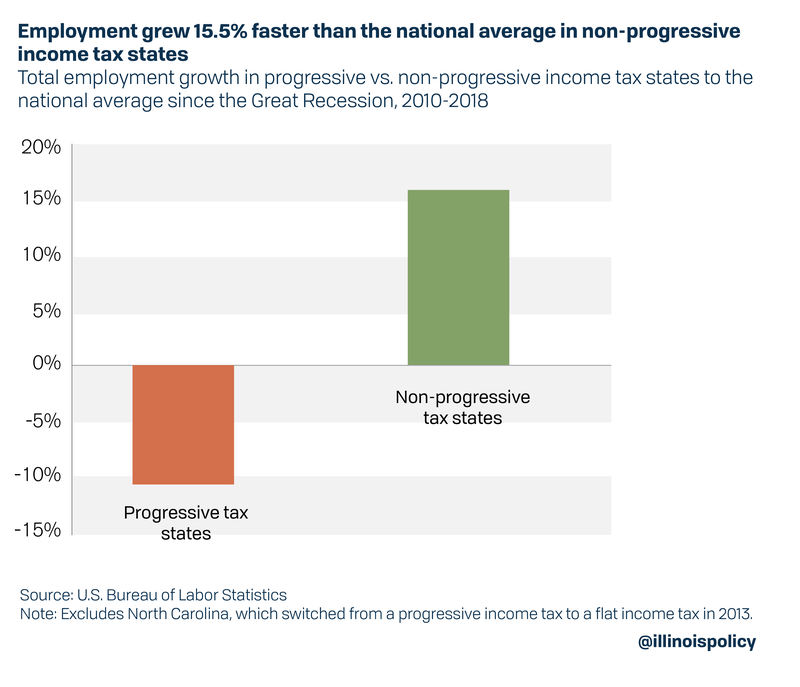 Since the end of the Great Recession, employment in states without a progressive income tax has grown 15.5 percent faster than the national average, while states with a progressive income tax have grown 10.9 percent slower. Unemployment rates are lower in states that do not have a progressive income tax system. Not only is income inequality, measured by the Gini coefficient, higher in states with progressive income taxes, but progressive income tax states haven’t been any more effective at combatting rising inequality. 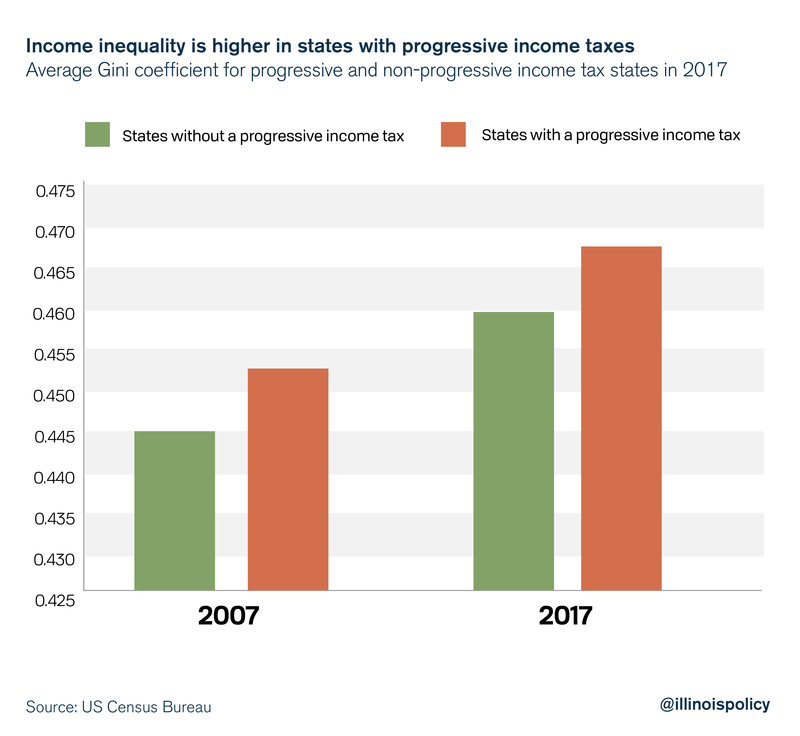 The difference in inequality between progressive and non-progressive income tax states remains unchanged compared with last decade. 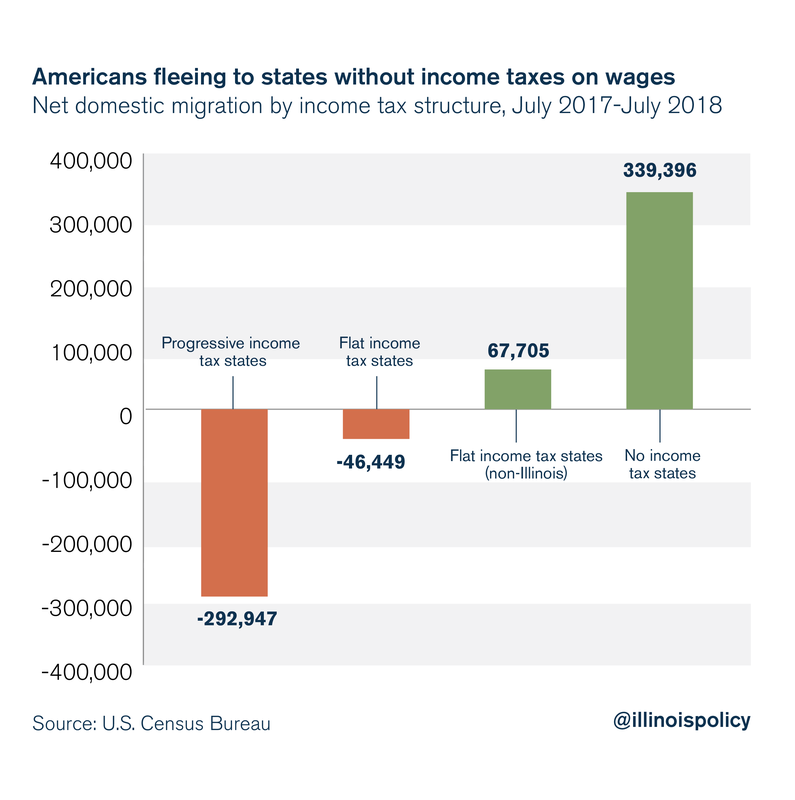 The states facing the worst population losses and outmigration crises are states that have a progressive income tax system. In 2018 alone, nearly 300,000 people left progressive income tax states for more competitive tax environments. Meanwhile, non-Illinois flat tax states attracted nearly 68,000 residents from other states, and states with no income tax attracted nearly 340,000 residents from flat income tax states. States without progressive income taxes see faster growth in their economies, wages, labor force and employment. They see lower unemployment rates and lower income inequality rates. They have been able to attract residents from high-tax states.